SPECIAL PROMOTION FOR FIRST 15 CUSTOMERS! 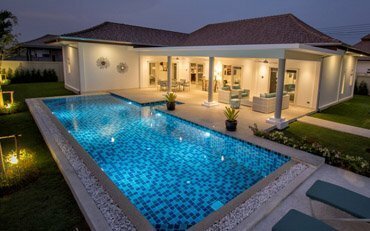 We are offering the Villa Orchid Deluxe for only 6.95 M Baht on a 552 sqm plot or the Villa Orchid Signature for 7.25 M Baht on a 552 sqm plot to the first customers that make a reservation deposit and commit to begin construction when we start at the beginning of May 2019. For full details please contact our Sales Manager right away! 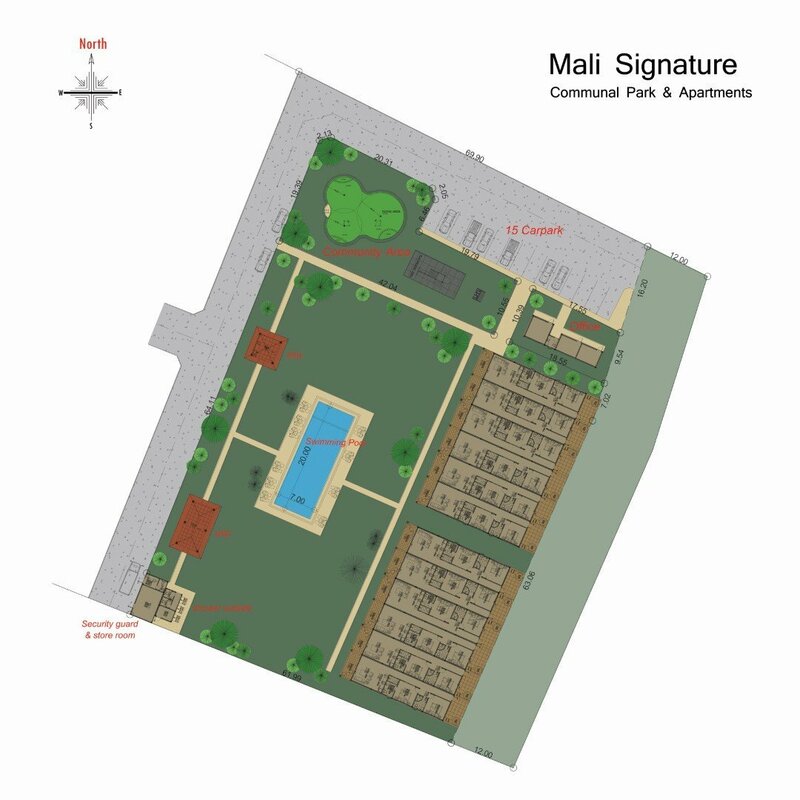 We have now secured the land for our latest development, Mali Signature. Only 500m South from Mali Prestige, and set back from the main road, the new location is surrounded by magnificent mountain views and benefits from cool breezes. A really stunning location which must be seen. 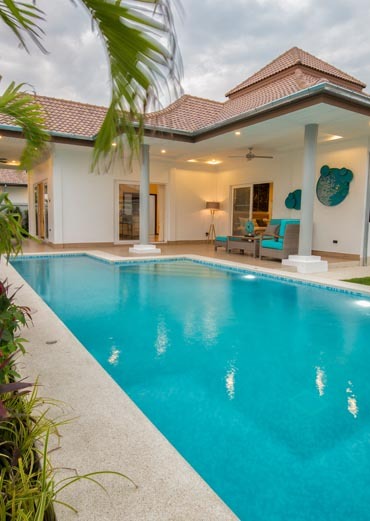 Just 9km from the Bluport Shopping Mall, the city center, and Hua Hin beach. Close to a great many fine restaurants and world class golf courses, it truly is a beautiful area. 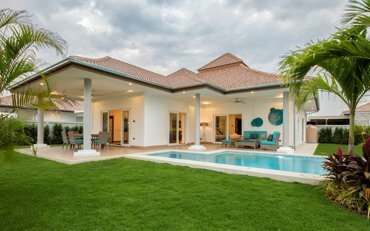 We will be creating 4 different types of villa on Mali Signature – Villa Orchid Deluxe, Villa Orchid Signature, Villa Leelawadee & Villa Maya. We are in the process of creating the coloured floor plans and putting all details together for them, so please check back soon for the villa information pages. 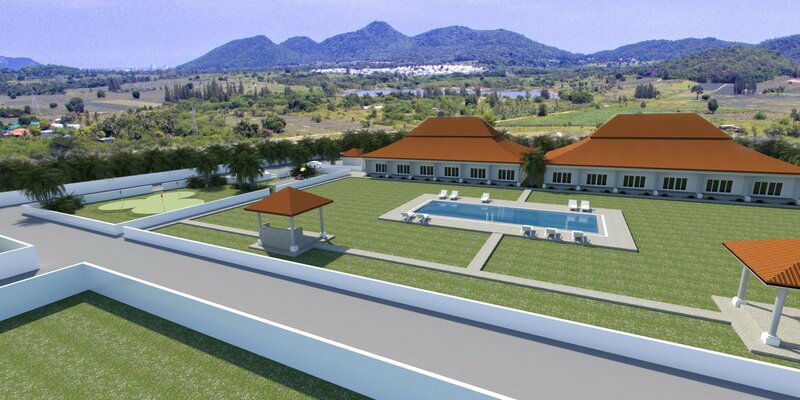 In addition to our beautiful, luxury pool villas, we are creating a large communal park which will include a putting green, children’s play area, BBQ area with salas for relaxing in as well as a large communal swimming pool. Situated at the back of the area will be twelve, 2 bedroom, 2 bathroom apartments, which will be available to buy starting from only 3.15 M Baht. These will be sold including a Kvik kitchen, standard appliances and furnished by Beautiful World. The entire area is approx. 5,000 square meters (a little over 3 Rai) so it is our largest communal area on a development to date. We will begin construction on the communal park area towards the last quarter of 2019. Here are some conceptual images of what we envisage the area to look like. 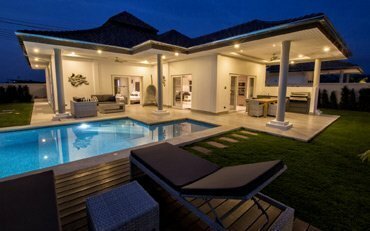 Our villas are turnkey properties. Once you have purchased a villa with us, sat down and picked your designs, tiles, furnishings etc., on completion it is ready to move in. The only thing that isn’t included would be your own personal items, cutlery, pots and pans, TV / DVD etc. and other small house hold items. The Views by Orchid Palm Homes (No. 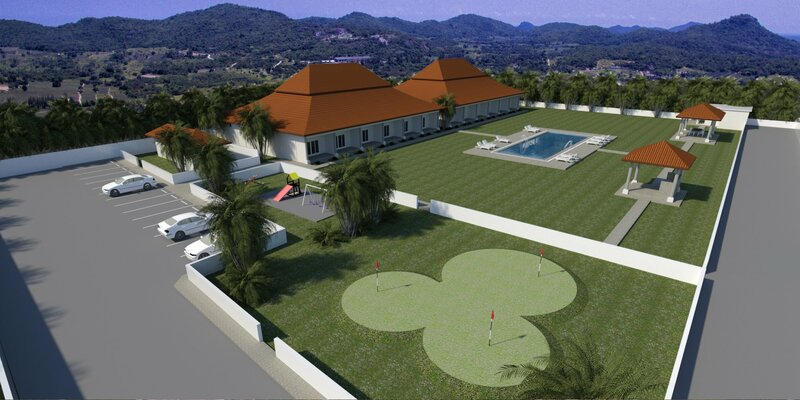 7) is situated a short distance from The Banyan Golf Club off Soi 112. A great location and also not too far from the city centre. Mali Residence by Orchid Palm Homes (No. 8) is located a little further West along Soi 112 with a new access road leading between it & Soi 88. Situated a short drive South of the Sam Pan Nam Floating Market, also off Soi 112, is Mali Prestige (No, 9). Started in May 2017 and originally scheduled for completion in December 2020, however, it now looks like we shall complete this development by December 2019! We are now clearing the land and plan for construction to start on Mali Signature (No. 10) on 1st May 2019.